Earning Mileage Plan miles is as easy as addi­­ng your member number to your ticket or when booking with Mileage Plan partners. Redeeming miles is just as easy, but if you’ve never done it before, you might not know where to start. Fortunately Alaska’s easy online search tool can find and book almost any Mileage Plan award ticket, including partner awards, and these tips will help you improve on the results. Even during holiday periods and for popular destinations, you will be able to find award space. Mileage Plan has several different award levels, including “refundable” awards with access to the last seat on the plane. 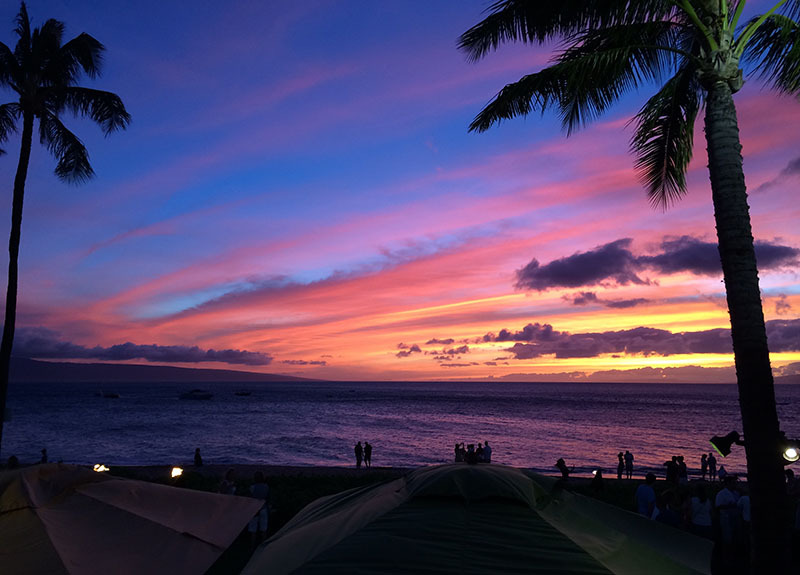 Don’t miss that famous Hawaiian sunset! Alaska Airlines provides over 160 nonstop flights every week between the West Coast and the Hawaiian Islands – among the most popular award redemptions. For destinations served by Alaska Airlines, one-way awards start between 5,000 and 12,500 miles depending on length of trip. Refundable awards cost more, but as long as one seat is available for cash, you can still book it and even change or cancel your ticket without penalty. Sample award levels on Alaska Airlines for travel within the lower 48 states, Alaska, and Canada. You can also redeem miles to receive a discount off a regular ticket. You can mix and match awards to find the best price and availability. For example, you might book a discounted award at 12,500 miles in one direction and a refundable award at 30,000 miles in the reverse direction if you want the flexibility to lengthen or change your departure date or city. 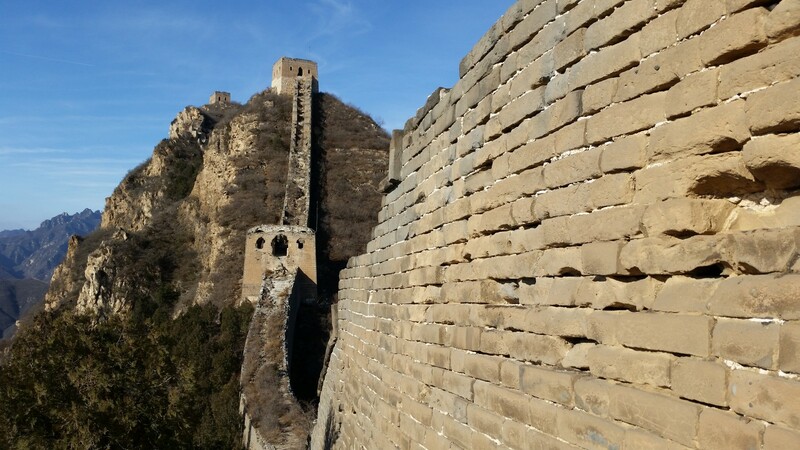 You can visit China with one of Alaska’s newest Mileage Plan partners, Hainan Airlines. Alaska’s Mileage Plan offers award travel on more than 15 different partner airlines, which can help you reach more destinations in the U.S. as well as international markets that aren’t served by Alaska Airlines – for a total of 900 destinations worldwide. Each partner has its own award chart. For example, flying to Europe on Icelandair might cost more or fewer miles than if you were to fly with British Airways or American Airlines. You can’t mix and match different partners on the same award, but you do have the option of booking a different partner in each direction. Connecting flights on Alaska is also permitted. All travel comes with some government taxes and mandatory fees. These start at $11.20 for a round-trip domestic ticket but can be higher, particularly for international travel. Alaska Airlines will collect these fees in addition to the miles you redeem. Some additional fees apply to partner awards. Each traveler must pay $12.50 in each direction or $25 for round-trip travel. There may also be carrier surcharges if you fly on British Airways or Icelandair. Finally, booking an award by phone requires an additional $15, but most travel can be booked online to avoid this fee. Alaska doesn’t collect any fees if you change or cancel an award 60 days or more before departure. The cost is $125 per person within 60 days, but this is waived if you booked a refundable award or if you have MVP Gold or 75K elite status. An airline might release some seats early on when it publishes its schedule, typically 330 days before departure. A more likely scenario is that a few seats appear between two and six months before a flight. Availability changes constantly, so check back frequently! 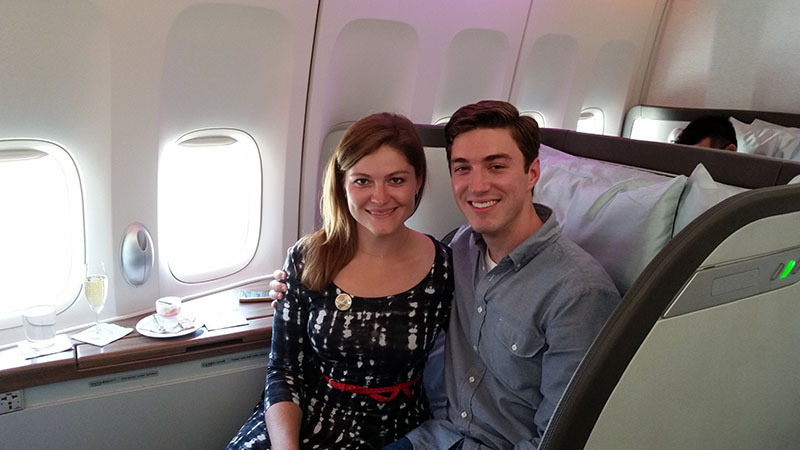 My sister and I flew to Hong Kong last year in Cathay Pacific’s first class using miles. Although originally booked in business class, we later changed the award. Book separate one-way awards if you can’t immediately find the space you need in both directions. However, you might have to pay two fees to change or cancel each award if something better appears. Gutsy travelers could wait until the last minute. During the last week or two many airlines have a good estimate of how many seats will be sold and how many will be empty, releasing additional award space. Fortunately, the tips provided here should help you book the right award with less effort. 12 comments on "Mileage Plan 101: The basics of booking award travel"
A more in-depth post about the companion pass would be very useful. Particularly, I have the same issue with redeeming mine. I wasn’t aware that I can use it even if I’m not flying. That is a great tip, thanks Scott! Thank you for a very informative piece. May I use Alaska miles to book trips between airports outside the US? I have been attempting to search for tickets to Europe on a partner airline but keep getting an error that your site is experiencing technical difficulties and to try back later. I have tried for several days at different times of the day. I can occasionally get information on one set of dates but then if I try to search different dates or another partner airline I start getting that message. Any suggestions? Hi Diana – we are looking into this! What is the best way to use the companion ticket we get once a year. I always send it waste. Never use it. My favorite way to use the discounted companion fare ($99 plus tax) is for travel to Hawaii. These fares can be $400 or more from Seattle but are sometimes $600 or more if it’s during the winter and I don’t plan in advance. Fortunately the companion still pays just $99 plus tax. So if it’s a $600 ticket for me and $99 for my wife, then it’s like paying $350 per person on average. You can use the companion fare on any itinerary operated by Alaska Airlines or Horizon Air, including one-way flights, but expensive trips like this example are going to be the best deal. Sometimes short flights can be expensive, too. In general, the companion fare is a good deal for any ticket that costs more than $200. If you can’t fly, that doesn’t mean the companion fare is wasted. You can use your credit card to purchase a reservation for two other people even if you aren’t one of the travelers. Finally, remember that you can upgrade and earn miles on flights purchased with the companion fare. You can choose to buy a more expensive fare that is eligible for an MVP Gold Guest upgrade, or an instant upgrade on full fare tickets. The companion still pays just $99 + tax and can also request an upgrade. Award travel on some partners (like Cathay Pacific) can only be booked through Alaska’s call center, not online. Is the $15 phone booking fee waivable for award travel on those partner airlines? Hi Adam – the booking fee still applies. You’ll want to use the Alaska Airlines website or call Alaska Airlines if you’ll be using their miles. The partner only makes the award space available to Alaska, which can find it for you. Almost all partners display their award space on the Alaska Airlines website, so you can just search from Seattle to London, for example, and find flights operated by British Airways. The two exceptions are for travel on LAN and Cathay Pacific. Alaska Airlines representatives can still find this award space by phone, but it is not displayed on Alaska’s website. Hi Ralph – this has now been credited to your account! (I removed your MP number from your comment.) Thanks, Halley.